Despite the fact that it seems like every store has an ecommerce component these days, there is still a market for many types of businesses to begin selling their products online. In fact, only 17 percent of small businesses have attempted to create an online ecommerce store. This presents a tremendous opportunity for small businesses to expand their reach, especially when you consider that by 2019, it is estimated that there will be 224 million digital shoppers in the United States. 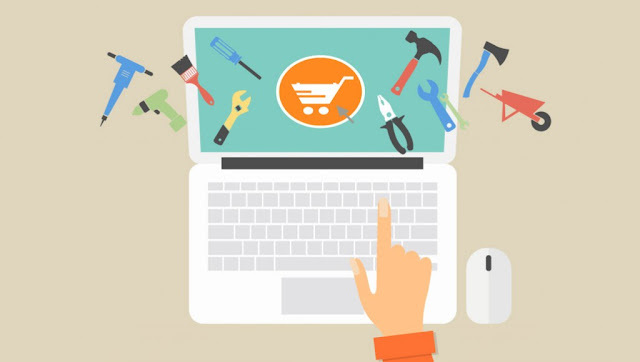 If you are thinking about adding an online store to expand your retail experience, this list of tools will help you find what you need to get your online store up and running quickly and cost effectively. The first step for most online stores is finding the right domain name. A good domain name should support your brand, be as short as possible, and be easy to remember. You have lots of options when it comes to picking a domain name — you can use your existing business website domain, a variation of that domain, or start with something completely new. The tools below will give you some ideas as you start to figure out your domain strategy. 1. Bust A Name: A tool to help you find domains that are available and manage the domains you own. 2. Domainr: This tool helps you find the perfect domain name by exploring the entire domain name space, including domains beyond .com, .net, and .org. 3. Dot-o-Mator: An easy-to-use tool that creates domain name suggestions based on keywords you enter into the tool. 4. Name Mesh: This service provides domain name suggestions using synonyms, suffixes, prefixes, and more. When ecommerce was in its infancy, online retailers had to use many different services to piece together their digital shopping experience, including product gallery tools, shopping carts, payment processors, and more. Today, there are many platforms that provide all of the elements that are important to have in your online store. This next list is a collection of some of these tools. 5. BigCommerce: Customize your site with easy-to-use templates, manage shipping and payments, and list your products on Amazon, eBay, and Facebook. 6. E-junkie: A shopping cart platform that helps you sell both digital downloads and tangible goods with PayPal, 2Checkout, & Authorize.Net. 7. GoCentral Online Store: Part of GoDaddy's suite of services, this platform will help you with everything from inventory management to payment processing. 8. Gumroad: A great tool for digital creators who are looking to build a simple, small store that helps you build your audience. 9. Magneto: An open source ecommerce platform that provide comprehensive online selling solutions, a extensions marketplace and an open global ecosystem. 10. Shopify: An ecommerce platform that has everything you need to sell online, on social media, or in person, providing a platform for online stores as well as retail point-of-sale systems. 11. Squarespace Online Stores: An all-in-one platform for selling online, whether you’re just getting started or are an established brand. 12. Volusion: An ecommerce website builder with professionally designed themes and customization ability that helps you sell more products online. 13. Weebly: A drag-and-drop website builder that makes it easy to create a high-quality website, blog or online store. 14. Wix: Another drag-and-drop online store builder that helps you create a unique, personalized website with product galleries and flexible design. 15. Woo Commerce: A customizable ecommerce platform built into WordPress that helps you sell physical and digital products easily. An important part of growing your business through ecommerce is having a way to communicate with your customers. This is where email marketing comes in. You need a platform that helps you build a database and send transactional email messages, customer service follow-ups, and special marketing promotions and notifications. Explore the tools below -- and this list of more email marketing platforms -- to see which may be the best fit for you. 16. AWeber: An email marketing platform with more than 700 mobile responsive email templates to automate your email marketing. 17. ConstantContact: Create email marketing campaigns with drag-and-drop customizable templates that you can personalize, send to your contacts, and track the response. 18. MailChimp: A tool for marketing automation for product follow-ups and other types of messaging that targets customers based on behavior, preferences, and previous sales. 19. VerticalResponse: A platform that helps small businesses send email marketing messages, online surveys and direct mail for campaigns that drive interest in your online products. Social media is essential for all business, but particularly those that focus on selling online. You can certainly manually manage your social accounts through each separate platform, but it is much more efficient to use a social media marketing platform like of the tools listed below. 20. Buffer: An intuitive social media management platform used by all types of businesses to help drive social media results. 21. Hootsuite: A social media management tool that helps you quickly find and schedule social content, then measure its impact. 22. Sprout Social: Helps all types of organizations extract real business value out of social media through effective engagement, publishing, and analytics. Have you considered how you will handle product issues, track customer requests, or communicate with your customers while improving your customer service processes? A support and help desk tool can be a great asset to any online retailer. Explore the list below to see if one of them is a good fit for your needs. 23. ClickDesk: Live chat and support software allows you to customize your chat widget interact with visitors in real time and answer customers to boost conversions. 24. Freshdesk: Help desk software for retail ecommerce businesses that includes multi-channel support, ticketing, and product support features that will help you run your online store. 25. Get Satisfaction: A customer engagement platform that helps companies build better relationships with their customers and prospects. 26. HelpSpot: Help desk and customer service software that is easy to set up and helps you improve customer satisfaction. 27. Zendesk: Support products that allow businesses to improve communication and make sense of massive amounts of data from their customers. All online businesses should be monitoring their metrics and analytics in order to improve their products and online stores, give their customers more of what they want, and gain an understanding of how customers are finding and navigating through their site. The tools below provide different types of monitoring and analyses of data that can be invaluable to an online store owner. 28. Clicky: A tool that includes real-time monitoring capability so you can monitor, analyze, and react to your traffic in quickly. 29. Crazy Egg: Provides heat map and scroll map reports you can get an understanding of how your visitors engage with your website so you can boost your conversion rates. 30. Google Analytics: A digital analytics tool to measure your advertising ROI and performance of your web properties, as well as track your videos and social networking sites. 31. KISSmetrics: A behavioral analytics and engagement platform to help you understand what people are doing on your website and products, then deliver behavior-based emails to engage them. 32. Mixpanel: A business analytics service and company. It tracks user interactions with web and mobile applications and provides tools for targeted communication with them. As you build your online store, you will also want to make sure you are setting it up to get as much traffic as possible. 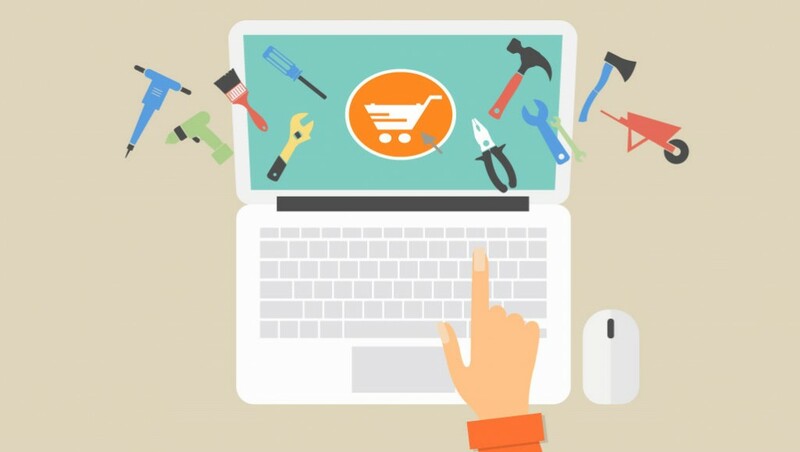 This guide to ecommerce SEO provides a great starting point.